Image courtesy of Enix Brewing. Enix Brewing Company has partnered with Kevin Saftner of James Street Promotions to bring more live music to Homestead. In addition to Enix’s full bar, craft beer, indoor performance area and bowling alley, the venue features an outdoor stage with a standing capacity of up to 300 people. Local musicians are invited to tour the facility on March 31 from 1 to 3 p.m.
Saftner, who formerly operated James Street Gastropub on the North Side and was a co-founder of Deutschtown Music Festival, says he’s expecting to have the first shows booked by next week. 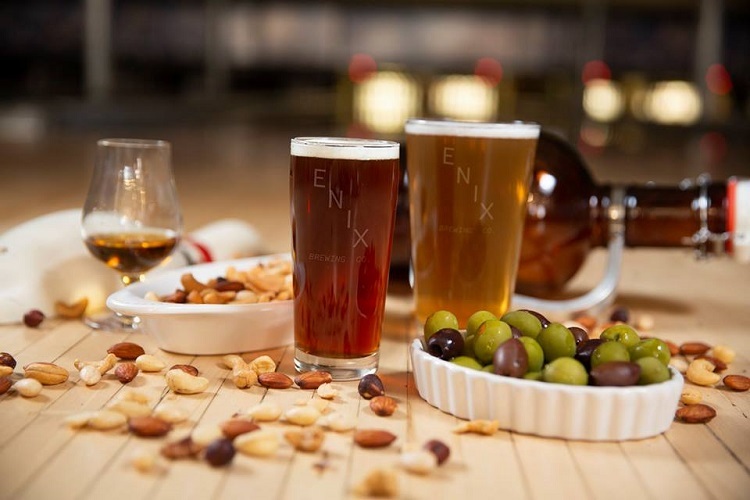 Enix Brewing Company opened last August in the former Levine Brothers Hardware building on Eighth Avenue in Homestead. The business features 12 rotating taps, an extensive wine list and full bar, an outdoor beer garden, a second-floor bowling alley and a wood-fired oven churning out Mediterranean-inspired cuisine. In the 1930s, master brewer David Rodriguez’s grandfather emigrated to the U.S. from Spain, where he grew up on Enix Street. The family now runs A.M. Rodriguez Associates, Inc., a company with offices in Pittsburgh and Akron, Ohio, that develops and manages affordable housing communities and commercial spaces. They saw potential in the old hardware store located along a busy thoroughfare. 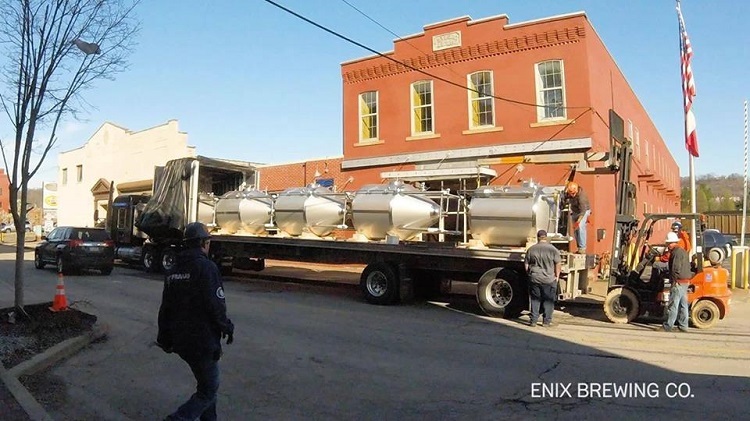 BrauKon brewing equipment arriving at the new Enix Brewing space. Image courtesy of Enix Brewing. Rodriguez, who owns Enix with his brother, Victor Rodriguez, started homebrewing 10 years ago. 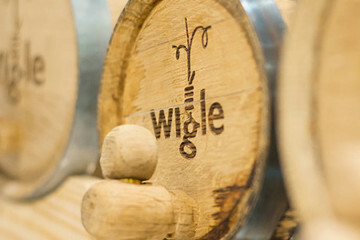 Soon after picking up the hobby, he enrolled in Chicago’s Siebel Institute of Technology, the oldest brewing school in the country. He opened Madrid’s first brewpub in 2013. Fábrica Maravillas — which means “marvelous factory” — quickly became a go-to tourist destination and was soon followed by Mad Brewing, a larger-scale production facility and bar located in the same city. Some of the tried-and-true brews that are popular at those pubs — such as the Mad Red, an amber ale — appear on Enix’s menu. But David Rodriguez says there will be a wide variety of styles on offer at Enix. An on-site yeast lab will allow him to experiment with different strains. BrauKon, a German brewing system manufacturer, installed a 15-barrel setup at the facility. Enix also invested in a water purification system that gives its beer a crisp, clean taste. “It’s like the Mercedes of brewing systems,” Victor Rodriguez says. 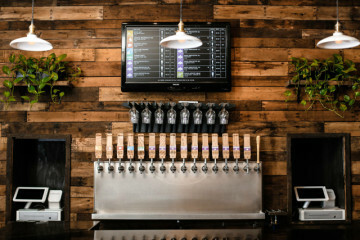 Along with offering growlers and glasses — available in three sizes, ranging from a small cup to a pint, the owners plan to can their beers in the near future. Using fresh, locally sourced ingredients, chef Sean Skerrette serves modern and traditional Spanish dishes, Italian cicchetti and Grecian mezza. Pizzas and flatbreads, as well as beer, are available at the upstairs bowling alley, which has been given a makeover. In addition to hosting league play, the eight-lane bowling alley is open to the public. Lavinia Rodriguez, David’s wife and the marketing manager for the brewery, says she wants Enix to be a family-friendly place with a fenced-in area where kids can play while their parents enjoy a well-deserved beer.